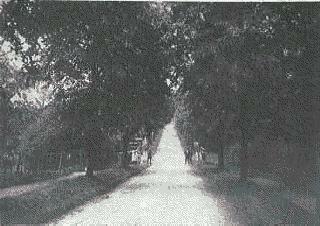 This tree lined avenue was and is a route to Stockport via Adswood. 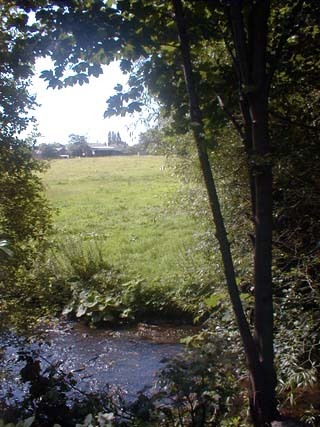 Although strung by a thin line of houses much of its rural character remains as it crosses the river with the seven great arches of the railway viaduct (built 1842) on the right and Leathers Farm and the Old Mill (previously Adswood Mill) on the left. Its passage has been hampered in recent years (as with so many other Stockport roads) as it awaits bridge repairs. Currently (1990s) it sports a rather cobbled together 'bailey bridge' support. 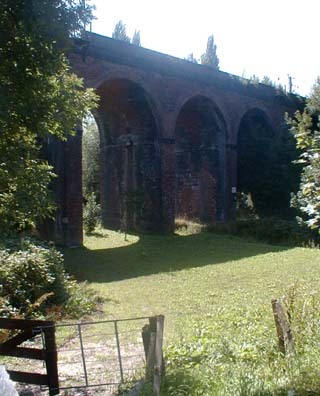 The Seven Arches Viaduct was built in 1840-1842 and brought the trains across the Ladybrook Valley and into Cheadle Hulme for the first time. 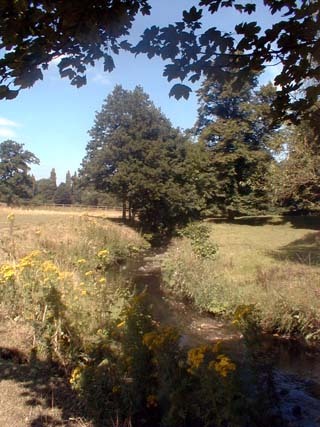 The valley is still a place of beauty and tranquillity and has many spots where no houses can be seen - only the stream, the trees and flowers and numerous horses roaming freely. Unfortunately, as with everything in Cheadle Hulme there are occasional noisy disturbances as a train or aeroplane passes by. 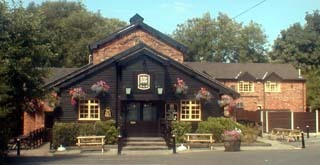 Laether's is one of the few remaining working farms in the area and provides a stables for horse riding along the Ladybrook valley.